Are you struggling to bring your audience back to your website? or Are you facing issues like less user engagement and reduced sales of your products and services? Then, it’s the right time to get indulge in email marketing! In a very little amount of time and efforts, you get high user engagement, sales, frequent communications with users, and nurturing your website audience about a new blog post, product, services, and deals. Next what? It’s time to opt for a cheap email marketing service which offers essential features at a very affordable price. With time, the Internet is flooded with several email marketing service providers which makes it pretty difficult to choose the best and cheap among them! 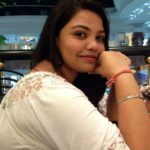 Well, today I have gathered all the best, free and affordable email marketing services under one roof so that it becomes easy for you to pick the best based on your requirement. 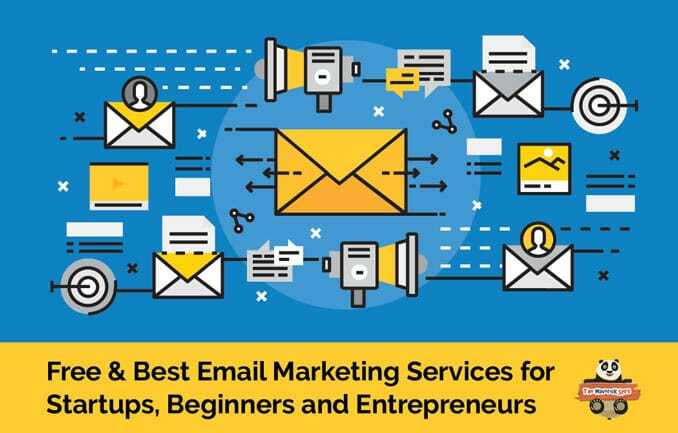 Take a look at these top cheapest email marketing services on the market which are perfect for every small business owners, beginners, startups, bloggers, lead generation, real estate, digital marketers, and entrepreneurs. 1. BENCHMARKEMAIL Best, Powerful, Affordable and Simple Email Marketing Tool for bloggers & Startups! Benchmarkemail is another effective email marketing solution which helps you to create and send emails that are responsive, mobile-friendly and look attractive on different devices. Benchmarkemail emphasizes a slick WYSIWYG design interface and an easy-to-use metrics platform. The service has more than 1,000+ integration with other products! Integrate your eCommerce store, Form builders, CRM, SumoMe, LiveChat contacts, GoToWebinar Attendees, Eventbrite Attendees, Zapier and much more. A premium e-mail marketing service which lets’ you know all about your email campaigns progress by providing real-time reports. Joining with BenchmarkEmail will definitely boost your customer base as it has got integration with many popular websites like WordPress, Facebook, Squarespace, Google, and many others. BenchMarkEmail Features An Email Marketing Service which Integrates with 1,000+ Other Products! Automation Pro – Convert subscribers into customers using Benchmark autoresponder system! You can schedule and send personalized individual email series at the right time by targeting a specific email list. Email Designer – BenchMark email designer provides you live editing, responsive, drag and drop email template builder. Create eye-catchy email campaigns by adding multiple effects, colors and editing photos in minutes. Well, if you are an HTML expert, you get an HTML code editor to build your email campaigns. Prebuild Email Templates – No matter what your market is. BenchMark email marketing service provides email templates for any occasion! Whether it is industry based or holiday email templates, you get everything. Sign up Forms – Easily get more signups by placing signup forms on your website, blog or social media to expand your audience. Grow your audience – You get plenty of options to grow your audience list using BenchMark. The service gives you a popup and embeddable signup forms to grab website leads. Further, you can manage your list by segmenting subscribers. Already have a list? Import it in BenchMark email marketing platform. Add contacts one by one, copy paste in email addresses or import .xls, .csv or .txt files. Tracking and Reports – Track your email template look and feel using Inbox Checker and be assured that your emails are perfectly designed and look great on the web and mobile devices. AB testing to check which email campaign has the potential to convert more leads. A clean reporting dashboard which gives stats on emails sent, opened, bounced, unopened, links clicked, unsubscribes and emails forwarded. Supported Apps – BenchMark also supports apps. It has two different versions – one for desktop and other for mobile devices where mobile app supports both Android and iOS. Star Point – All paid plans of BenchMark email include Automation Pro feature! Free Plan – Still in doubt? Join the BenchMark email starter free plan and send email campaigns to up to 2,000 subscribers per month. Upgrade to a paid plan when you feel like! There are four Benchmark email pricing plans where cost increases on the basis of subscribers you have. All the plans allow you to send unlimited emails and include Pro Automation feature. The first paid plan starts from 600 subscribers. Try Benchmark Email Forever Free Plan! 2. MAILERLITE Cheaper Email Marketing Software, Services, and Newsletters! When it comes to choosing a best, free and cheap email marketing service, Mailerlite is what hits mind after MailChimp! 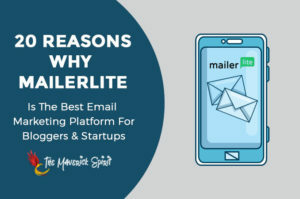 Mailerlite is the cheapest email service provider which lets you create amazing email templates, helps you grow your subscriber list, tracks your email campaign results, and integrates with famous web services to make a more efficient platform. A powerful and cheaper email marketing alternative software with a focus on simplicity, great customer support team who are happy to help via live chat or email, and beautiful email campaign designs. 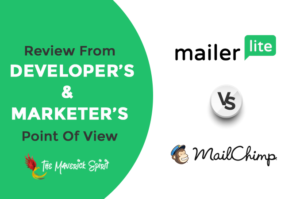 Mailerlite Features An Affordable Email Marketing Tool for Startups and Newbie Bloggers. Email Newsletter Designs – Free beautiful email newsletter templates galore featuring stunning templates in the various niche. File manager – to organize all your photo collection in different folders. Resources – Helpful resources featuring 30+ video tutorials, knowledge base and ultimate guide to email marketing for a better understanding of Mailerlite email service provider. Support – around the clock support team that got your back. They help you to get started with Mailerlite from uploading a subscriber list to send awesome email campaigns. Auto Resend – send email to subscribers who haven’t opened it and increase your email open rate automatically. RSS campaigns and Email Deliverability according to timezone. 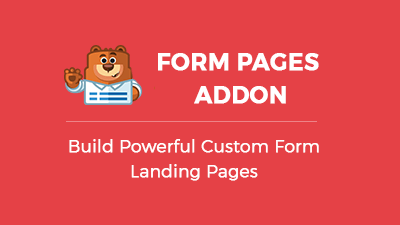 Forms and landing pages – design signup popup forms, embedded forms and high converting landing pages using free form builder and landing page builders. Powerful integrations to enhance your email marketing – Instafreebie, WordPress, OptinMonster (best lead generation software for marketers), Privy (popups and landing pages), Ninja popups, Thrive, Sumo, Milotree, Bloom (email opt-in and lead generation plugin), MailMunch, SendOwl, MailOptin (popups, email opt-in forms & newsletter WordPress plugin) and more. A/B Split testing – select the best performing email campaign to make a tremendous difference in the effectiveness of your marketing efforts. iPad Subscribe App – get free Mailerlite iPad app to collect more subscribers offline. Turn your iPad into newsletter subscriber form. Forever Free Plan – Send an unlimited amount of campaigns to up to 1,000 every month for FREE. Enjoy full access to all features, including automation. Easily upgrade as your subscriber list grows. Mailerlite has multiple pricing plans based on subscribers range starting from $10/month. Well, if you pay annually you get to save 30%. 3. CONVERTKIT Email Marketing Service for Professional Bloggers! ConvertKit is considered as the best, smart and cost-effective email marketing platform that is ruling over the Internet currently! 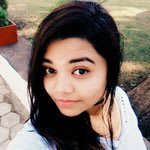 If you are dreaded by creating stunning and appealing newsletters using drag and drop email builder or understanding the complexity of the dashboard to send out an email! Then you should definitely try out the simplicity of ConvertKit. A clean, intuitive interface, easy to implement marketing automation, tags based personalized email marketing service provider. ConvertKit Features Fuel Your Online Business with Cheap, Quick, Easy and Effective‎ Email Marketing Service! Automation – automate your email marketing by creating sale funnel to sell a service. Send email sequences for the launch of new product, hosting a webinar or taking surveys from your subscribers. RSS feeds – send your latest blog post or deliver a summary of articles on a weekly or monthly basis. WordPress email marketing plugin – build an email list, capture leads and increase email subscribers. Transpose your WordPress website into an email marketing engine! Integrations – powerful e-commerce, payment portals, lead capture, webinar services, scheduling, giveaways, CRM, landing page, and membership site providers integrations like Shopify, WP Engine, Gravity Forms, OptinMonster, MailMunch, Bloom, and many more. Slack Community – learn about email marketing and blogging, get answers to your questions, share your wins and problems. 99.5% High Inbox Email deliverability – land your emails right into your user’s inbox. ConvertKit Pricing Choose the Plan that Works Best for You! You get 14 days free trial on all the plans of ConvertKit for up to 1,000 subscribers. Though during the signup you need to provide your billing details where you will be charged for the first time on the completion of 14 days trial depending on the plan you choose. ConvertKit pricing plans depend on the number of subscribers you have. The basic plan starts from $29 for 1k subscribers. All the plans allow unlimited email sends and customizable forms. 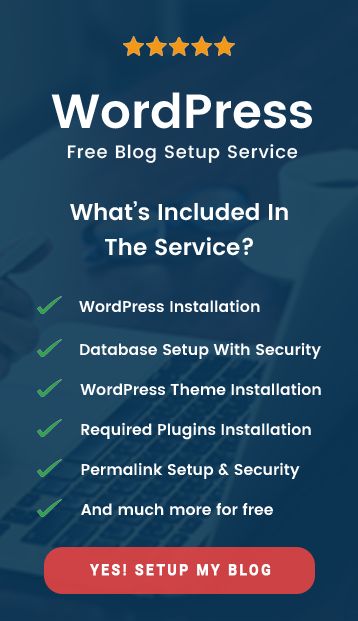 Create Your Free ConvertKit Account Today! 4. WISHPOND Email Marketing Service for Smart Marketers! WishPond email marketing service provider is popular for its outstanding features offered to users. Apart from email marketing, it also provides online forms, landing pages, leads, tracking & management, contests & promotions, referral suite, automation, and API. It has a huge stock of email newsletter templates which you can customize according to your requirement. An excellent and easy to use dashboard which features performing clicks, click trends, heatmaps, workflows, A/B split testing results, ROI reporting which allows you to send emails quickly without any hurdle! WishPond Features Best Cheapest Email Marketing that Offers with High Inbox Rate Sending! WishPond Integrations – More than 300+ integrations give you tools like – Slack, SurveyMonkey, Aweber, Zapier, SalesForce, payment, collaborations apps, and much more. Email drip campaigns – send out series of emails based on your subscribers/customers actions. A/B split testing – Test your email content, subject lines, and images. Choose what works best! Robust email editor – send emails to your mailing list using drag and drop HTML editor. Inbuilt mobile responsive in nature. Resources and guides for users – improve email marketing efforts by grabbing your hand on free videos, tips, webinars, infographics, step-by-step instruction guides, case studies, free Shopify popup builder, free WordPress popup builder, and much more. Social sharing capabilities within emails. Email segmentation – creates segments based on geography, interest, job title, company size etc. Geolocation – using Google Maps increase subscriber interaction by sending location targeted email campaigns. Social integration – increase ROI by posting your email marketing campaigns on Facebook and Twitter. WishPond pricing plans are based on the number of contacts and charge on monthly basis. All the pricing plans allow you to send an unlimited number of emails. WishPond robust email marketing service’s Free plan is loaded with full marketing tool features. Enjoy your 14 days of free bulk email marketing features and social media integration. 5. SENDPULSE All-in-One Email Marketing Service – Send Bulk Emails, SMS and Web Push Notifications! SendPulse makes email marketing way better using its Artificial intelligence. It’s simple interface and amazing crawler lets you start sending email newsletters in no time. A cheap and affordable email marketing service provider using which you can power up your SendPulse email campaigns by integrating them with CRM, CMS, eCommerce, and other 500+online services. Some of the popular services are – Amazon, PayPal, Slack, WooCommerce, Shopify, Hubspot, JotForm, Typeform, Zapier etc. This email marketing tool also provides you pre-built stunning email templates that are mobile responsive in nature. You can also create your own email campaigns using in-built drag and drop email template builder. SendPulse Email Marketing Features An Email Marketing Service Provider Which Provides 5 Delivery Channels in One Platform! Drag and drop email editor – create stunning and professional email templates easily. You can even pick your email campaigns from 100+ prebuild email templates and customize them according to your preference. Automation 360 – this is the star feature of SendPulse using which you can send email, web push, and SMS on the basis of user’s action or events. A cost-effective feature using which you utilize the power of multiple communication channels under one roof. Subscription forms – Collect leads from your website easily. Create, customize and place the subscription form on your website. Gather leads and nurture them about your services and products. Email personalization – Personalize your emails by addressing your subscribers by their name, gender or position. Well, this feature works an extra mile and gives you replaceable text fields based on the information you have about the user. Reporting – You can track the progress of your sent email campaign by keeping track of email opens, clicks and unsubscribes. SMTP – Using SMTP service provided by SendPulse you can make use of – dedicated IP addresses, list of unsubscribers, statistics, reports, servers, and SPF and DKIM records. API – Make use of SendPulse email marketing API to send emails, SMS and web push notification to users all under one roof. Forever Free Plan – You can try out SendPulse for free up to 2,500 subscribers. Though you can only send up to 15,000 emails per month. Upgrade if you enjoyed the service! SendPulse charges you based on email subscribers you have. Till 2,500 you can use the service for free. Beyond 2,500 to 3,000 the service starts charging you and the starting price is $29 when billed monthly and $23.20 if billed annually. You get two more options – Pay as you Go and VIP plan. Pay as you go plan charges you based on the number of emails and VIP is applicable for those who have over 1 million email subscribers. By joining VIP you get extra perks like – personal manager, custom email templates, and custom pricing plan. Try SendPulse Email Marketing Service Today! 6. AWEBER Cheap & Free Email Marketing Automation Software to Help You Get Started with Email Promotions! AWeber is easy to use email marketing service with a neat and clean dashboard. AWeber web form WordPress plugin is also available with a simple and straightforward user interface UI. AWeber is fairly priced email newsletter service and cheaper when compared to other email marketing tools. Being one of the oldest and best-known email services on the market it incorporates amazing integrations, and helpful features to grow your business. AWeber lately launched a new marketing automation feature which is increasingly offered by email marketing tools nowadays. Using this automation feature you can use clickthroughs and tagging to decide what should be sent to whom and when. AWeber Features Best Email Marketing Software with Signup Web Form WordPress Plugin! 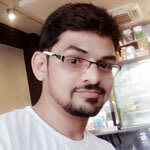 List importing – manually add individual subscribers or upload your list in AWeber database easily. Supported file types include – XLS, XLSX, TSV, CSV, and TXT. More than 750+ readymade HTML e-newsletter templates. Opt-in forms – design attractive and eye-catching signup forms using Drag and Drop web forms. Subscribe your audience on the basis of single opt-ins or double opt-ins. Reporting – track clickthroughs, email opens based on geographical location and bounces. RSS to Email – turn your RSS feeds into email campaigns. Schedule and send them to your subscribers and keep them updated. Email segmentation – create segments of subscribers to get more effective results. Divide audience based on emails opens, website visits, links clicked, products and services purchased. Email deliverability rate – high inbox rate assured. Integrations to automate your list growth – content management and monitoring tools, social media, e-commerce, landing page, lead generation, customer relations, survey, video, and webinar. Mobile apps – Atom (Grow your email list at conferences, networking events, or even the grocery store with this easy sign up form app), Curate (Create and send curated email newsletters directly from your mobile device anytime, anywhere), and Stats (Check how your emails are performing and new subscriber information even when you’re on-the-go). AWeber Pricing Plans Free and Low-Cost Email Marketing for Bloggers! Spend Less and Send More! To know whether Aweber is the right choice for your business. You can avail Aweber free trial for 30 days. You get 14% discount on paying quarterly and 14.9% discount if you pay annually. Apart from this, student and not-for-profit organizations also get some discount. SendX is an affordable email marketing software which provides features that are perfect for users who are unhappy with MailChimp. SendX offers really affordable pricing plans across all contact sizes and comes with the capability of sending unlimited emails across all pricing tiers. This makes it an excellent MailChimp alternative and a great addition to this list! SendX makes for a great choice for users who are looking for an email marketing service which allows them to send unlimited email campaigns and charges on the basis of subscribers. SendX Features A Feature-Rich Email Marketing Service Built for Marketers and Business Owners! Powerful Drag and Drop email editor to create effective Email Campaigns: Design mobile responsive email campaigns with easy to use drag and drop email builder. Easily add countdown timer, buttons, images, headings and text. Premium Responsive Email Templates built from the ground up to convert: Get access to 50+ awesome collection of email templates. Made for a variety of industries and occasions. Free Stock Photos – You heard right! SendX gives you free access to 500,000+ royalty-free stock photos to build professional email marketing templates. Extremely Affordable Pricing and Unlimited Email Sending Capabilities across all plans: Every SendX plan comes with unlimited email sends. You’re only charged based on your contacts. There are No Hidden Limits on sending emails. Free Migration Service: If ever you feel like to switch to SendX from other email marketing service you use. Don’t think much about the setup as SendX team handle this for you all for free..!! Create Pop-ups and Forms to grow your Email List: Build your list using high converting Email Pop-ups and Inline Forms to own your audience. Automate your Email Sequencesto Elevate your Marketing: Email automation and drip campaigns can be set on the basis of user activity, audience or email segmentation, and rules or sequences of questions or answers . SendX Pricing Plans Extremely Affordable Email Marketing – Starts with a 14 Day Free Trial! SendX email marketing tool offers a 14 Day Free Trial to test out the software. Gives support for up to 500 subscribers and 2000 emails! Sets you up instantly and no credit card required. The basic SendX paid pricing plans to start as low as $7.49/month (paid annually) and $9.99/month (paid monthly). As your contacts size increases and you get results with SendX, you’re promoted to higher pricing tiers. All paid plans come with a no-questions-asked 30-day money back guarantee. If you’re not satisfied with the product, just message the support within 30 days of purchase and get a refund. Get 14 Day Free Trial of SendX! 8. SENDINBLUE A GDPR Compliant Best Free Email Marketing App! SendinBlue is an email marketing automation tool built to empower businesses. As your business grows SendinBlue tracks everything! With SendinBlue, you can automatically deliver perfectly timed messages to your leads and customers based on triggers you decide. This email marketing tool provides a dedicated IP that allows you to digitally sign your emails and take full control of your sending reputation. One of the most powerful, easiest to use and least expensive email marketing platform trusted and used by millions of people in the world! SendinBlue is designed to drive more leads to your business. There are high lead capture options, packed in SendinBlue, which you can easily add to your website to start growing your list of contacts. SendinBlue integrates with all of your favorite marketing tools and apps! SendinBlue visual workflow builder lets you create individual customer journey. Build gorgeous marketing and sales funnels, powerful automate sequences that work in the background of your business. SendinBlue Features Best Lightweight & Affordable Marketing Automation Software For Marketers! Integration – landing page providers, payment providers, shopping carts, Google Analytics, WooCommerce, OptinMonster, CRMs, and more. Segmentation – Get a clear picture of your contacts. SendinBlue gives you the power of segmentation with comprehensive tagging and event tracking. Segment your contacts on the basis of demographic or behavior like click, open, etc. Automate emails – You can apply tags, send emails or entire campaigns with if/then logic, respond to product purchases, delay messages and much more. Set email automation series for birthdays, welcome emails, purchase, etc. Have engaging conversations – SendinBlue tracks capabilities like product purchase behavior, website visits, email behavior, funnel responds, custom events and more. SendinBlue Pricing Recommended By Capterra – Automation Marketing Engine For Bloggers And Online Entrepreneurs! SendinBlue forever free plan allows you to send 300 emails/day for unlimited contacts. Get the best value in Pro Email Marketing tools: 40k Emails for Only $25/Month with no daily sending limit! *Get 20% off on Annual Plans. ** If you need to send emails from time to time then you can go for Pay as you Go Credits. Start Your Free SendinBlue Trial! 9. GETRESPONSE Free Email Marketing Software for Online Creators! GetResponse is all-in-one email marketing, trusted by, 350k customers, to help your business grow. A GDPR compliant, easy to use, cheapest and affordable email marketing software for online marketers. Integrated features like email marketing, landing pages, CRM, webinars, autoresponders, and marketing automation make GetResponse a complete online marketing automation tool. GetResponse in One Glance – Starts from $15/month. Gives 24/7 Live Support. Have a 30-day Free Trial. Guarantee 99% Email Deliverability. Provides Scalable performance. Inbuilt 500+ customizable Email Newsletter Templates. For those who are trying to set their feet for an online marketing workflow platform! GetResponse is the best and cheap email marketing service for you. GetResponse Features Powerful And Perfect Email Marketing Solution For Beginners! Mobile responsive emails – email that displays perfectly on any device screen. In-editor mobile preview – check whether your email is exactly what you want to send! Time travel feature – land your email into subscribers inbox at right time depending on their time zone. Stop getting your emails buried deep down in user’s inbox. Analytics dashboard – track email sends, reads, opens, clicks, unsubscribes, and social shares. Real-time tracking system – get a view of contacts over the globe in real time. See who has received your email, opened it, clicked it or unsubscribed. GetResponse Pricing Plans An Affordable Email Service Provider! GetResponse Free Trial – you get 30 days of free email marketing trial account. No credit card information is required. GetResponse pricing options are featured for 3 phases i.e either you can pay monthly, 12 months or 24 months and is based on list size or the number of subscribers. The basic plan starts at $15 for a list size of 1000 billed monthly. You get an autoresponder and basic landing page as an addon. Apart from it, workflows and tags as marketing automation. 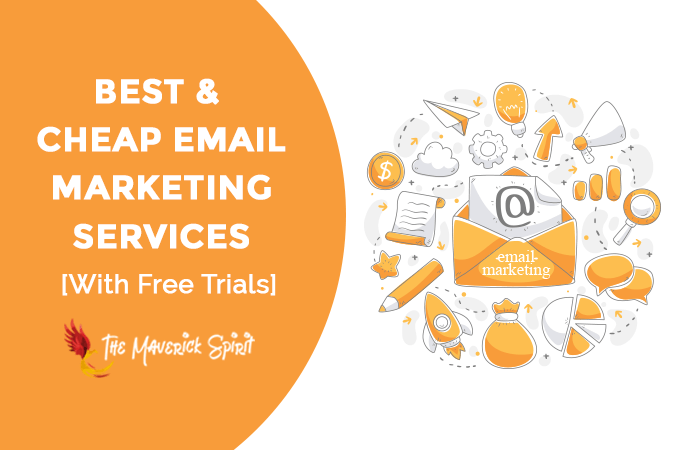 I hope this list has definitely helped you to pick the best and cheap email marketing service to kick-start your marketing promotion! Give a Try to SendPulse. The tool combines 6 delivery system in one! That is, you get – Web Push, SMS, SMTP, Viber, Facebook Messenger along with Email Service. If you are looking to send plain email text, stunning and creative email newsletters straightaway without focusing on the design part try – BenchMark Email or ConvertKit. Christmas and New Year WordPress Deals 2019 – Get Best Deals, Discounts, Freebies & Coupons! MailOptin Review – A Powerful List Building WordPress Plugin For Smart Bloggers & Marketers!